Yes. It’s true. In this 2012 study, Travelodge, a hotel chain, was puzzled by the number of stuffed animals they discovered in their hotel rooms after their (adult) guests had departed. 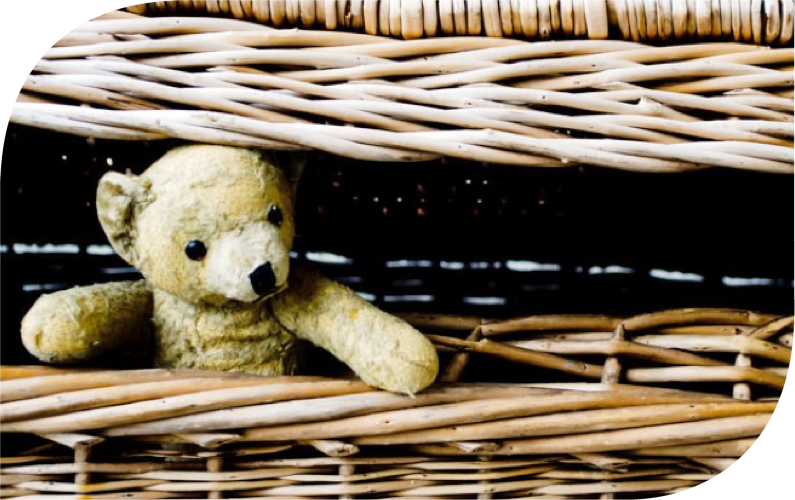 A special teddy bear, a blankie, a binky; these are all examples of what psychologists call a “transitional object.” They help toddlers begin to transition from the constant presence of the mother to an independent state of separation. They remind the child of mom’s love and protection and enable the child to feel more secure in the world they are beginning to explore. Brandgarten recently completed a study in the US, Japan and China for an adhesive bandage brand and discovered that the brand functioned as an important transitional object for the child after a cut, scrape, or boo boo. As the child got older, character bandages with Spiderman and Princesses filled this emotional need for them. It got us wondering about at what age we stop needing these security devices. Which is why the Travelodge study was so interesting to us. It turns out most of us go through life with special attachments to comforting objects and brands. Think that first baseball glove, a special pen, a piece of keepsake jewelry, old birthday cards–and even teddy bears. A transitional object provides us with a small sense of comfort and security to deal with changing circumstances and the stresses of modern life. We imbue them with emotional meaning. And contrary to the popular view of these objects signifying some weakness, psychologist have demonstrated that people using a transitional object tend to be more confident and secure in the rest of their lives. So look to the person on your left, and then look to the person on your right. One of you is probably sleeping with a special stuffed animal. And that’s OK.